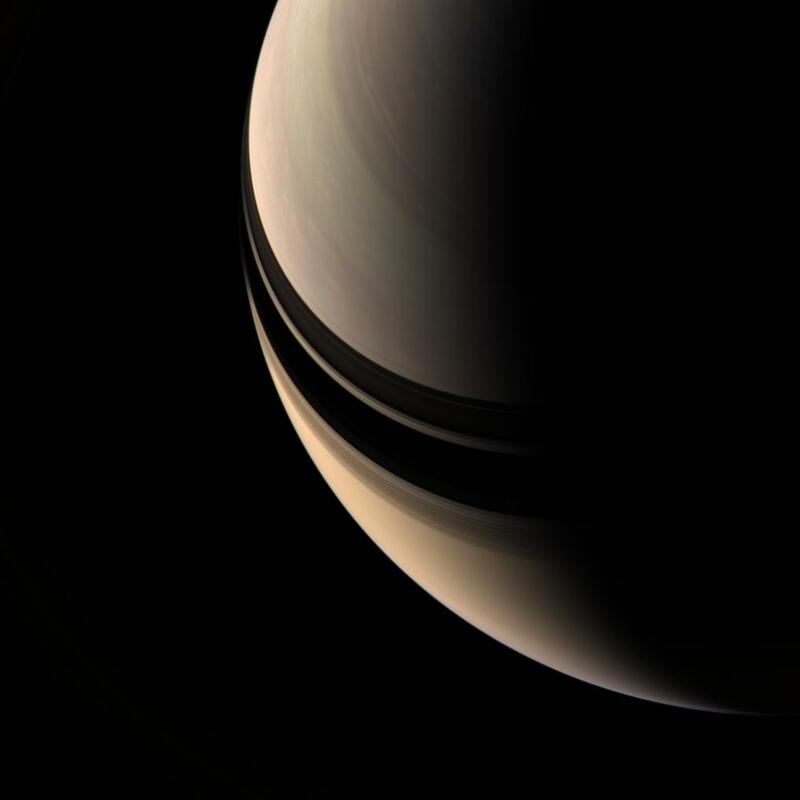 Brooding Saturn seems to be missing its rings, but their shadows on the planet betray their presence. The inner rings are in fact contained within this scene, but they are so tenuous as to be nearly invisible. This view looks toward the unilluminated side of the rings from about 52 degrees above the ringplane. Some motion is apparent in Saturn's clouds between the exposures used to create this color composite, as evidenced by the 'rainbow' effect seen here and there across the face of the planet. Images taken using red, green and blue spectral filters were combined to create this natural color view. The images were taken with the Cassini spacecraft wide-angle camera on April 5, 2007 at a distance of approximately 1.5 million kilometers (900,000 miles) from Saturn. Image scale is 84 kilometers (52 miles) per pixel.